New Dock Installed! 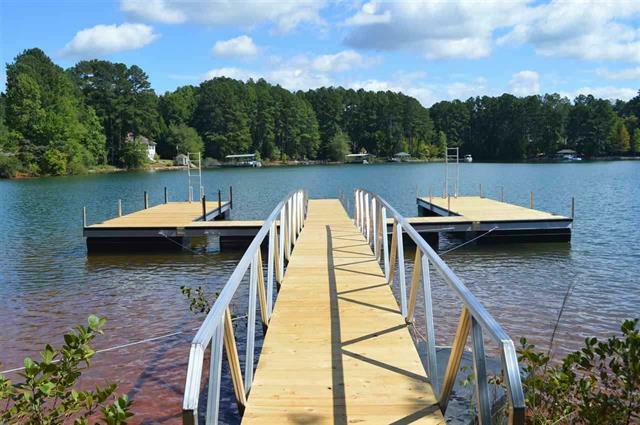 One of Keowee’s kept secrets, the private waterfront community of Palmetto Pointe is now re-released offering individual covered docks and dock-slips available with each residence. Only 11 home-sites nestled in this serene mountain setting, accompanied by glass-like waters and winding channels, lend to a lake experience unique to anywhere else on Keowee. Just minutes from the main channel, favored by skiers for it’s stillness and kayakers for it’s environment, nature offers a tranquil ambiance with little wake in this spot. There are several passages with towering mature trees and accented by large rock formations. A great setting for your weekend or gameday lake getaway, a seasonal cottage retreat or that affordable permanent home. Log homes permitted and rustic craftsmanship encouraged. Come escape to something unlike the city…only 2 lots left.